What Colin wants, Colin gets... After competing in the Dakar Rally earlier this year, Colin McRae's request to have the Nissan Pickup-Dakar 2004 simulated has been fulfilled: the 4x4, which won him two stages of the endurance race, will be included as a special vehicle in Colin McRae Rally 2005, coming late September for PlayStation 2, Xbox and PC. With McRae returning to Nissan for the Dakar Rally next year, he'll be getting in some pre-race Pickup practice thanks to the game. "Piloting the Nissan in the Dakar Rally was an incredible experience," says McRae, "and I was keen to see it have a part in Colin McRae Rally 2005. 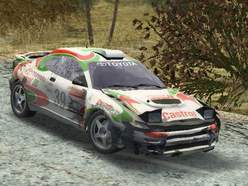 The game's development team have done a great job in modelling the car and setting the handling. It's an excellent vehicle to take out on the new game's different road surfaces and makes for one of the most entertaining elements of my preparation for next year's event." 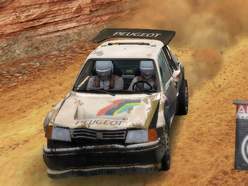 However, for gamers who want to drive the Pickup, they'll have to prove they deserve to drive it: in Colin McRae Rally 2005 it's the ultimate unlock for which you have to beat McRae himself in the game's career mode. The Pickup is just one of the 30+ rally-spec cars that feature in the latest edition of the genre-leading rally series. 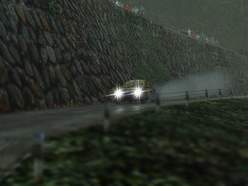 In Colin McRae Rally 2005 you'll get behind the wheel of 4-wheel drive, 2-wheel drive, 4-wheel Classics, Super 2-wheel, Rear Wheel, Distinctive and 4x4 cars. 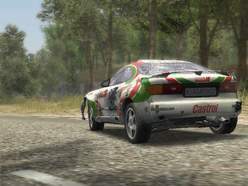 Featured cars include the Toyota Celica GT-FOUR, Lancia Stratos, Alfa Romeo 147 GTA, Alfetta GTV Turbodelta, Peugeot 206, Ford Fiesta Rallye Concept, Subaru Impreza 44S WRX, MG 6R4 and from Mitsubishi the Lancer Evolution VIII and Montero Evolution. There are also some unusual rally drives to experience, including the 1967 Morris Mini Cooper S! 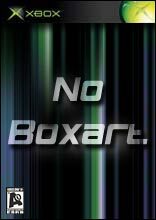 Play as one of your real-life tennis heroes on courts all over the world, or be a fictitious player battling it out in some of the most outrageous arenas imaginable in Slam Tennis, available from Info..